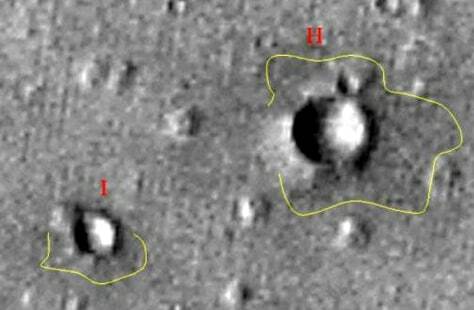 Did Europe's Mars lander fall in a crater? This photo shows two craters on Mars, up to a half-mile wide and possibly several hundred yards deep, in the middle of the site where Europe's Beagle 2 Mars proble probe was supposed to have landed on Christmas Day. The photo was released Monday by Malin Space Science Systems, which operates cameras aboard NASA orbiters at Mars.